The EU opened a new negotiating chapter with Turkey on Thursday in its long-stalled bid for membership, a week after a British vote to leave the EU in which the issue was a major part of the campaign. The decision is part of the European Union's migrant deal with Ankara in which it also agreed to boost aid to Turkey to cope with millions of refugees on its territory and to speed up visa liberalisation. Muslim-majority Turkey formally launched its membership bid in 2005 and since then the EU has opened 15 policy chapters out of the 35 required to join the bloc, although it has only completed one. Britain's bitterly-fought Brexit referendum saw 'Leave' campaigners jump on Ankara's membership bid, claiming that Turkey would be a massive source of migrants in the future. "All EU member states have agreed to open this chapter" on finance and budgetary affairs, said Dutch Foreign Minister Bert Koenders after chairing a meeting with his Turkish counterpart Mevlut Cavusoglu in Brussels. "We stressed the importance of EU-Turkey relations, the EU and Turkey working together on issues including migration," Koenders said. A speeding up of the accession talks was part of an EU-Turkey deal agreed in March in return for Turkey helping to control the massive inflow of migrants, mostly fleeing Syria, which overwhelmed the bloc last year. Koenders told reporters the talks had begun with a minute's silence in memory of the victims of the bomb attacks on Istanbul airport which left more than 40 dead, recalling a similar, Islamic State-claimed atrocity in Brussels in March. The membership talks have been stalled largely due to disagreements over Turkey's human rights record and there were tough exchanges again on Thursday. Koenders stressed Turkey must meet EU rights standards as all candidate countries should. "As the EU, we also stressed the need for swift reform efforts, especially in areas of the rule of law and fundamental rights," he said. "As a candidate country, naturally (there has to be) respect for the highest standards of democracy and rule of law." 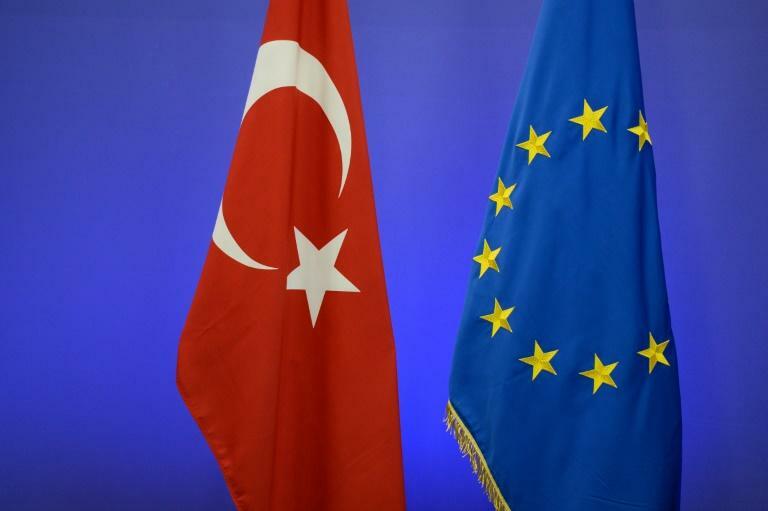 The EU says it cannot grant Turkey visa-free travel if it does not curb the broad scope of its anti-terror laws, something Ankara says it cannot do as it battles Kurdish militants and other extremist groups. "Of course the messages of condolences and solidarity are always appreciated," Cavusoglu said in translated remarks. "But only showing solidarity is not efficient in fighting terrorism... Turkey is fighting against terrorism; new demands that would encourage terrorists, we do not find that helpful." The Commission, the EU's executive arm, responded immediately that visa liberalisation was never meant "to reduce Turkey's capacity to fight terrorism effectively, quite the contrary." But the Turkish authorities should be proportionate, so that peaceful opponents of the government "do not find themselves being put in prison or charged for this expression of views on the basis of the terrorism legislation." 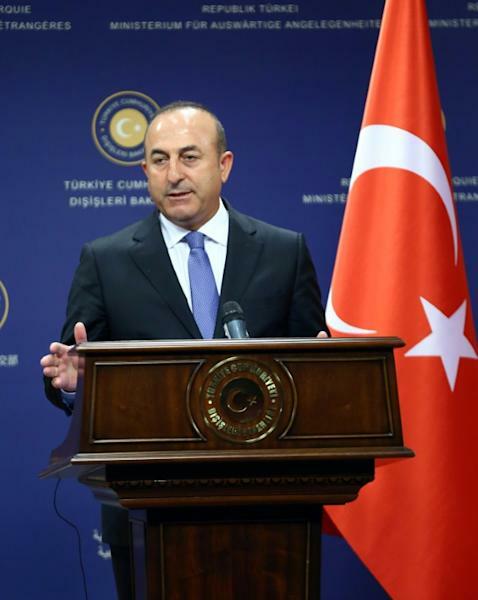 Cavusoglu later met European Commission Vice President Frans Timmermans for talks on the visa issue. The Commission said it had proposed the unlocking of a further 1.4 billion euro ($2.0 billion) tranche of the three billion euros in aid that the EU has agreed to give Turkey under the deal to help Syrian refugees.